The Google Doodle today is paying tribute to computer scientist Michael Dertouzos on his 82nd birth anniversary. Dertouzos was a professor in the departments of Electrical Engineering and Computer Science at the Massachusetts Institute of Technology. 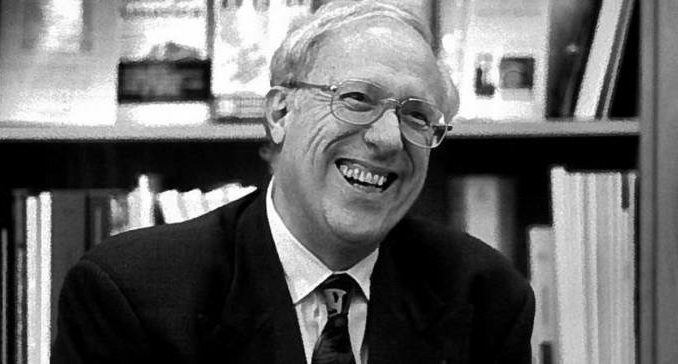 He served as the Director of MIT Laboratory for Computer Science from 1974 to 2001. The doodle shows Dertouzos with a chalk in his hand, facing away from a blackboard. This picture is flanked by a few other small pictures of computers and the internet. Dertouzos predicted the impact of the internet on our daily lives and the popularity of personal computers. He helped to maximize the potential of computers at MIT. He was born in Athens, Greece on November 5 in 1936. Dertouzos’ father was a concert pianist and an admiral in the Greek navy. Dertouzos graduated from Athens College and attended the University of Arkansas on a Fulbright Scholarship. He earned a PhD from MIT and joined the faculty in 1968.